Sulfur is an essential element for successful crop production and plays a significant role in plant physiology, as well as protection from stress and pests. A component of the amino acids cysteine and methionine, sulfur is essential for protein synthesis and is also a necessary component for chlorophyll production, which aids plants in regulating the process of photosynthesis. Though sulfur is often considered a secondary macronutrient, only nitrogen, phosphorus and potassium rank higher in the quantity required for healthy crops and increased yields. While sulfur is generally abundant in soil, it is not available to plants until it is mineralized. Many soil conditions and agricultural practices can diminish the amount of available sulfur, resulting in sulfur deficiency. Recent declines in sulfur availability make it more important than ever for farmers to recognize signs of sulfur deficiency in crops and take corrective action in order to sustain crop yields. Here we cover sources of available sulfur for crops, the environmental conditions and agricultural practices that have led to a decline in sulfur availability, as well as how to recognize and correct sulfur deficiencies in a variety of crops. Once an abundant nutrient in the soil, the amount of sulfur available for crops has declined in recent years, making sulfur deficiency much more common. A combination of environmental changes and new agricultural practices have contributed to a decline in the amount of sulfur in today’s crop lands. 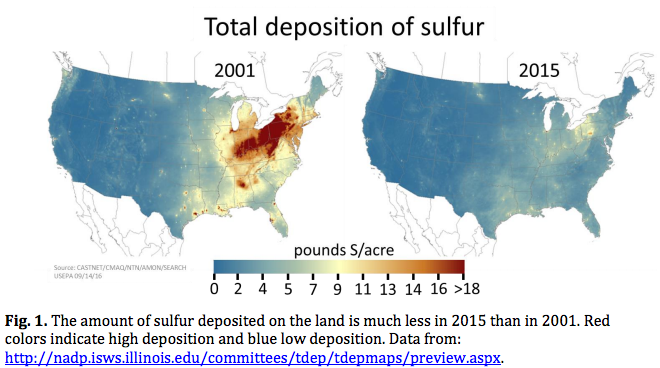 To understand this decline, it’s helpful to look at available sources of sulfur and examine the changes that have occurred over this time period. In order for sulfur to mineralize and become available for plants, a number of microbial processes need to occur. These processes are highly dependent on the conditions of the soil and work best in warm, moist soils. For this reason, the recent popularity of early planting in cold soils has reduced the available sulfur during the crop’s early stages of growth. This often results in deficiency symptoms which later disappear as the ground heats up, increasing microbial activity and making sulfur more available. In the past, sulfur deficiency occurred most often in sandy soils, but recently, deficiencies have begun to show up across many different soil types. Sulfur deficiencies are also more common on hilltops and slopes where soil erosion is prevalent and losses in organic matter occur due to leaching. Frequent rainfall can also affect the amount of available sulfur, moving it further down into the soil, where it becomes inaccessible to many plants, particularly young plants with small, shallow root systems. In soils that are overly saturated, sulfate is often reduced to hydrogen sulfide, which dissipates into the air. Until recently, industrial pollution from the emissions created by burning fossil fuels, provided some crop areas with much needed sulfur, depositing sulfur dioxide or sulfates through precipitation. However, air pollution controls have greatly reduced the amount of sulfur, particularly in the eastern regions of the United States. While this is good news for our environment, it has contributed greatly to the decline in available sulfur for many crops. While fertilizers were once a substantial source of sulfur for crops, newer, high analysis fertilizers have decreased the amount of sulfur that is available to crops. 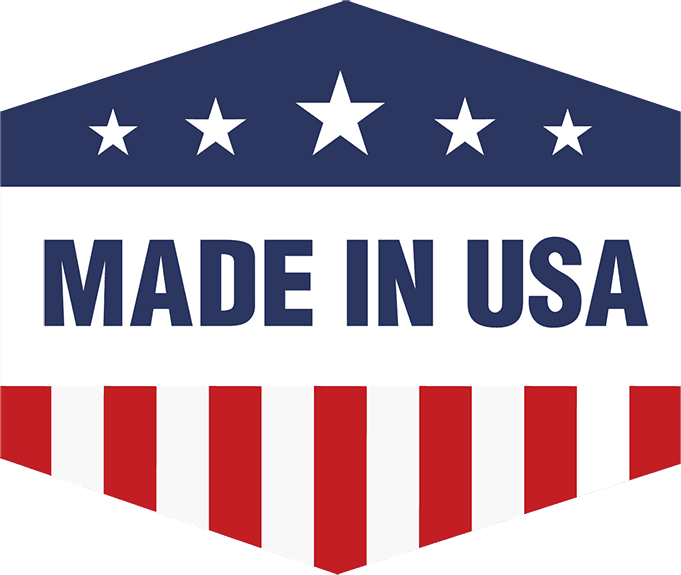 “An example is ordinary superphosphate (0-20-0) which contains 11-12% sulfur in addition to phosphorus, whereas newer triple superphosphate (0-46-0) contains less than 3% sulfur,” according to Pioneer. Newer, high-yield crops, created by the advent of genetic modification or hybridization, extract more sulfur than heirloom or open-pollinated varieties of the same crop. These higher-yield crops also create additional crop residue, which is low in sulfur content. During the decomposition of crop residues, which are low in S, inorganic S from the soil may be preferentially utilized by the microorganisms making it temporarily unavailable to the crop – a process called immobilization. Thus, S deficiency may occur more frequently with large amounts of crop residue early in the growing season. An abundance of phosphorous in soil can displace the available sulfur, contributing to sulfur deficiency. Acidic soil, soils that are too silty or sandy, soils at higher elevations or that have low levels of organic matter are often sulfur deficient. Most plants suffering from sulfur deficiency will exhibit specific symptoms. In corn crops, sulfur deficiency is often exhibited by a yellowing of the plant, particularly between the veins in the leaves. This appears similar to nitrogen deficiency, but with one key difference. Sulfur deficiency affects the youngest, upper leaves first, whereas nitrogen deficiency first appears on the lower, older leaves of the plant. Other plants such as soybeans, wheat and alfalfa exhibit similar symptoms, always beginning with the youngest tissue. Slow growth and delayed maturity of leaves can also be a sign of sulfur deficiency. This causes plants to appear spindly with thinning stems. The symptoms of sulfur deficiency are not usually uniform across fields and may appear in spots or streaks. These are often areas where the soil is colder or wetter, making it more difficult for sulfur to mineralize and become available for plant uptake. If sulfur deficiency continues, symptoms such as yellowing leaves will spread to older leaves, making it more difficult to determine whether nitrogen deficiency or sulfur deficiency is the problem. In some cases, a crop can be deficient in both nutrients. Sulfur deficiency can also be difficult to detect, since symptoms may not appear until the deficiency has become severe. A plant tissue analysis is always the best way to determine if the observed symptoms are the result of a sulfur deficiency. Many products are available to correct sulfur deficiency and the one you use will largely depend on the soil conditions of the field and whether other deficiencies are also observed. Growers often apply ammonium sulfate to meet the nitrogen and sulfur requirements of plants. Other fertilizers, that are more concentrated and economical to handle and transport, are often a better option. Highly soluble in water, thiosulfates are one of the most widely used fluid fertilizers that contain S. Typically, ATS is mixed with urea ammonium nitrate (UAN) to produce a fertilizer with the analysis 28-0-0-5 (5 percent S). Another option to correct sulfur deficiency is elemental sulfur, which is made up of 90% to 95% sulfur and a clay binder. Elemental sulfur can be added to fertilizer mixes. The least expensive option, gypsum, made up of calcium sulfate, is an excellent soil amendment for soils that are deficient of both calcium and sulfur. Gypsum contains 15% sulfate, which is the only absorbable form of sulfur for plants. If available, manure is an excellent source of sulfur, as well as many other important nutrients. “Most livestock manure contains approximately 0.25% to 0.30% sulfur. Sulfur content is greater, however, in poultry manure (0.50%)” – Sulfur Fertility for Crop Production – Pioneer. Soil pH is lowered by elemental S, ammonium thiosulfate, and ammonium sulfate. The oxidation of elemental or chemically reduced S (thio-S for example) creates acidity, which lowers soil pH and may require correction often by liming. While many nutrient deficiencies don’t go away on their own, sulfur deficiencies can often be corrected over time, especially when they occur near the beginning of the growing season when temperatures are relatively cold. Young plants often aren’t able to pull sufficient mineralized sulfur from the soil at first, but improve after their root systems mature. However, if symptoms of sulfur deficiency appear later in the growing season, the situation will likely not resolve on its own. Sulfur is an essential macronutrient that can strongly affect yields of a variety of crops from corn and alfalfa, to soybeans and legumes. Soil testing alone won’t identify deficiency. A plant tissue analysis is currently the best analytical method to test for sulfur deficiency, though soil tests can also be used. Sulfur deficiencies are becoming increasingly common due to reduced inputs of sulfur from atmospheric deposition, as well as changes in agricultural practices and growth of high-yield crops. Sulfur deficiency affects the youngest, upper leaves of most crops first, before progressing to older, lower plant tissues. Treatments for sulfur deficiency include gypsum, manure, ammonium sulfate, Thiosulfate, and elemental sulfur. For more information on correcting sulfur deficiencies for your crops, consult your agronomist.